AI and UGC for marketing and media professionals: Join us in Vienna! Be innovative with your content creation! Discover how User-Generated Content and Artificial Intelligence can be a driving force for better content. 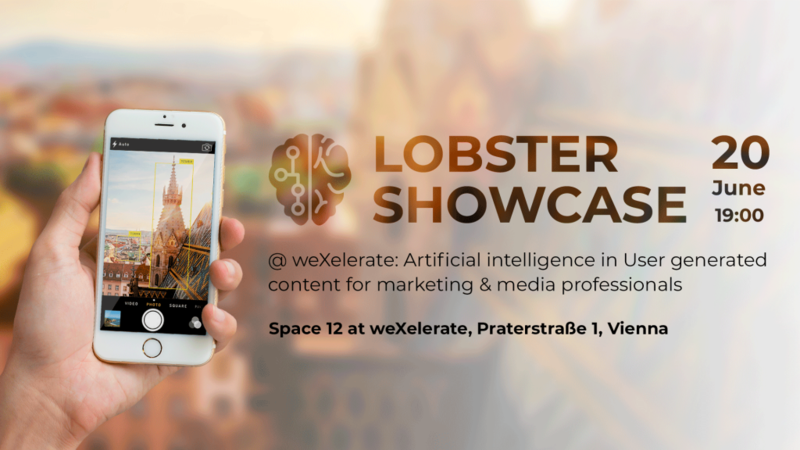 Join Lobster CEO and Co-Founder; Olga Egorsheva, at WeXelerate in Vienna for a free event taking place June 20th. Say goodbye to dull, uninspiring stock photography and hello to the future of licensing authentic content, created by real people and powered by innovative AI. Audiences love User-Generated Content, but how do you legally license it without wasting hours scrolling through social media? Lobster significantly cuts down your search time and simplifies the licensing process using a growing set of AI filters and tools. Come and meet the Lobster team in Vienna to see the platform in action and get all of your questions answered. Attendees to the event will enjoy discounted Lobster subscription packages with special prizes up for grabs! Guests are invited to attend the free Lobster showcase on the 20th June at WeXelerate; Vienna, from 7 pm for discussions, networking and a Q&A session. An after-party will take place at nearby bar, Klyo. For more information and the full agenda, RSVP via Facebook or Eventbrite.